DPE wheel or Dynamic Performance Engineering is based in Orange County, California. 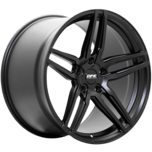 The company prides itself in the design and manufacturing of custom wheels. With years of experience and knowledge gained in the aftermarket community since 2003, DPE has fused performance, functionality and design to provide serious automotive enthusiasts with the utmost quality in custom wheels.